They may look like extra-floral nectaries, but the galls in some South American trees are evidence of wasps calling in some help to look after their young. Galls induced by cynipid wasps on South American Prosopis chilensis and P. flexuosa trees secrete a nectar-like liquid that attracts aggressive ants and other arthropods. 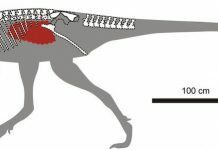 Aranda-Rickert et al. 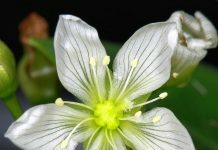 question whether these secretions can be considered as analogues of plants’ extrafloral nectaries (EFNs), which mediate the most widespread form of protective mutualisms. 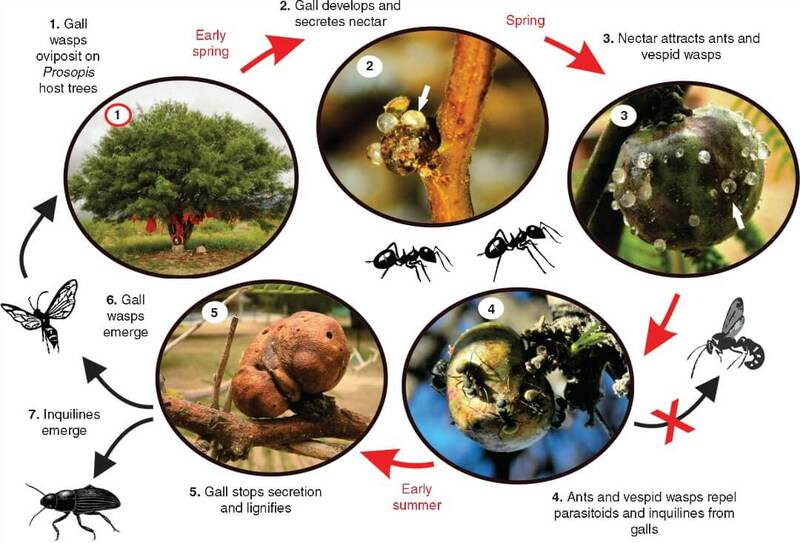 Life cycle of Eschatocerus acaciae galls on Prosopis sp. trees and their interaction with nectar consumers and natural enemies in La Rioja, Argentina. 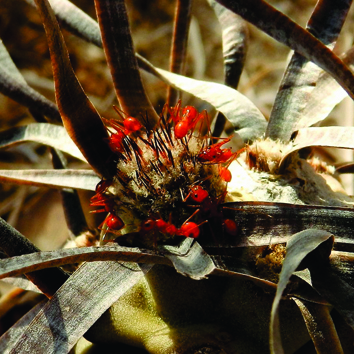 White arrows show the sugary secretions of the galls. The galls produce large amounts of sucrose-rich, nectar-like secretions. No typical nectary and sub-nectary parenchymatic tissues or secretory trichomes can be observed; instead there is a dense vascularization with phloem elements reaching the gall periphery. 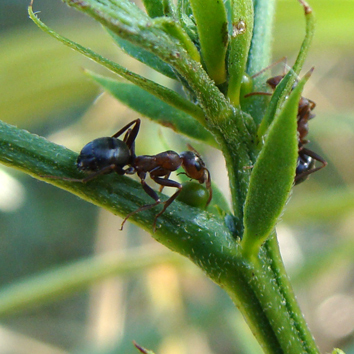 At least six species of ants, but also vespid wasps, Diptera and Coleoptera, consumed the gall secretions. 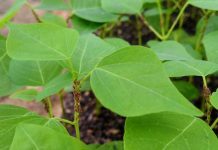 The ant exclusion experiment showed that when ants tended galls, no differences were found in the rate of successful emergence of gall wasps or in the rate of parasitism and inquiline infestation compared with ant-excluded galls. They conclude that the galls’ sugary secretion is not analogous of nectar but rather of honeydew. No nectar-producing structure was identified, and the indirect defence that galls mediate is directed to the gall-inducing wasp rather than the plant. As in other facultative mutualisms mediated by sugary secretions, the gall secretion triggers a complex multispecies interaction, in which the outcome of individual pair-wise interactions depends on the ecological context in which they take place.